Although I like a lot of different styles I think I might call my own style transitional-eclectic. I appreciate good design, but in summer I am drawn to casual, rustic and cottage objects. I was asked to help design the 2012 furniture line for Maine Woodworks a cottage style furniture company, Made in Maine! I also did the photo styling for the shoot, I am very proud of the results. Liz Donnelly is the talent behind the photos. I chose a neutral palette for this year’s line here are a few of the colors that are shown in the photos below: Benjamin Moore- Skipping Stones (CSP 155), Plaster of Paris (CSP 185), and Birds Egg (2051-60-fabulous blue). These are just the new neutrals Maine Woodworks is offering but you can get any color you want! Tangerine is the new hot color, maybe you want to spruce up your office with a tangerine file cabinet? Be creative…and go for colors that inspire you. Why does your office need to be dark to be professional? Why not pick colors inspire you? What colors make you feel calm? 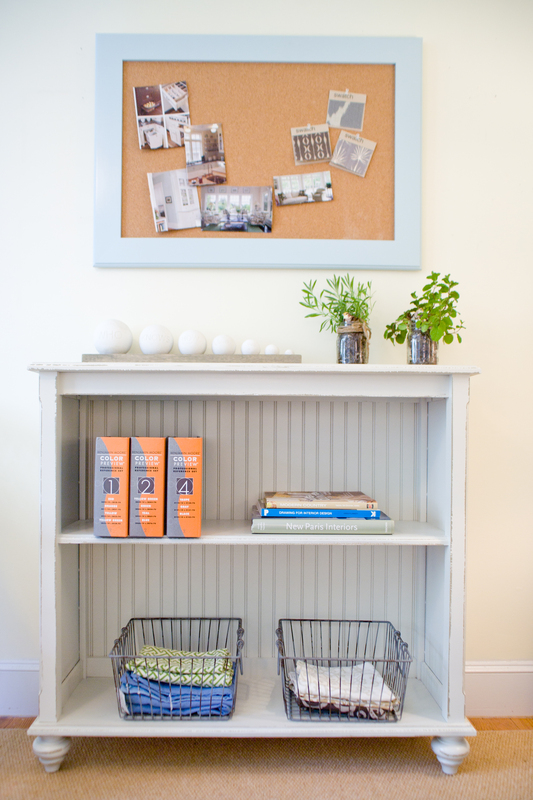 How can you incorporate your favorite colors into your workspace? Perhaps you need storage for a narrow wall? Look at this wonderful bookcase! 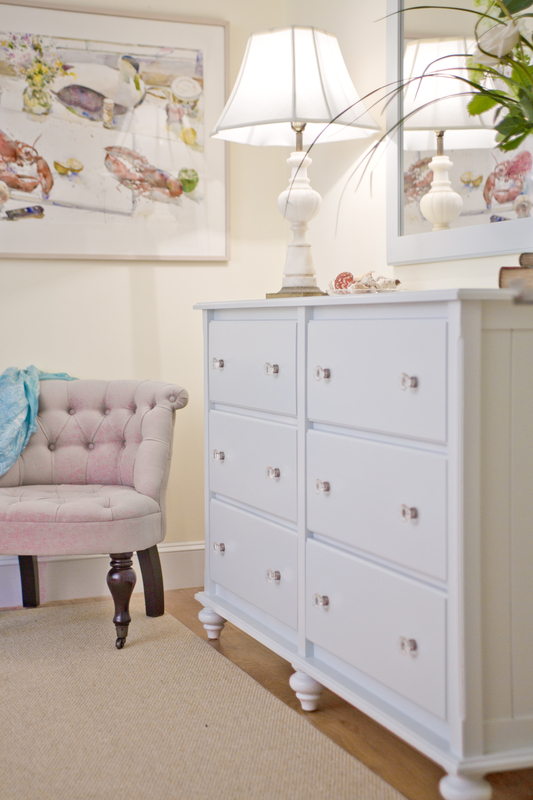 This is a diverse piece it can go anywhere it can be a media cabinet, in a bedroom as storage in a living room as shown! 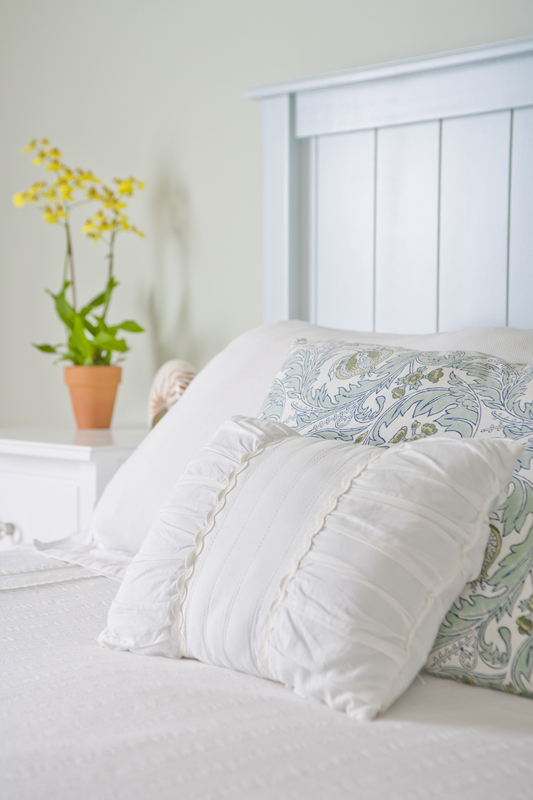 This bed painted in MWW Ocean Blue is a soothing color, perfect for summer or any time of year. This living room is re-made for summer,with a summer rug and slipcover for the sofa, the cottage coffee table and side tables work anytime of year! I really am pleased with the way this office furniture looks and it is available now at a retailer near you. If you cannot find a retailer in your area let me know, and I will help. Creative WorkSystems (Parent Company of Maine Woodworks) is a nonprofit organization staffed by talented and devoted individuals, Susan Percy, Executive Director, Janet Dutson, Marketing, Communications & Development Director, and Dave Gallati, of Maine Woodworks are just a few I have the pleasure to know. Susan is an amazing person, she is so intelligent, caring and devoted, I feel so lucky to have her in my life. Janet makes a tri-athlete look lazy, her professionalism and dedication is unmatched and I am so pleased to be working with her. Dave is my go to man, he hates to see me coming with all my new ideas, but he makes them come to fruition and should be proud of his fine work! I am impressed at how all of these individuals wear so many hats and juggle so many projects while putting the needs of people with disabilities first! If you would like to help this fantastic organization http://www.creativeworksystems.com/donate/ your money will go directly towards the people who need it most. Thank you! Happy Memorial Day, thank you to all those who have given their lives and careers to preserve our freedom! Beautiful! 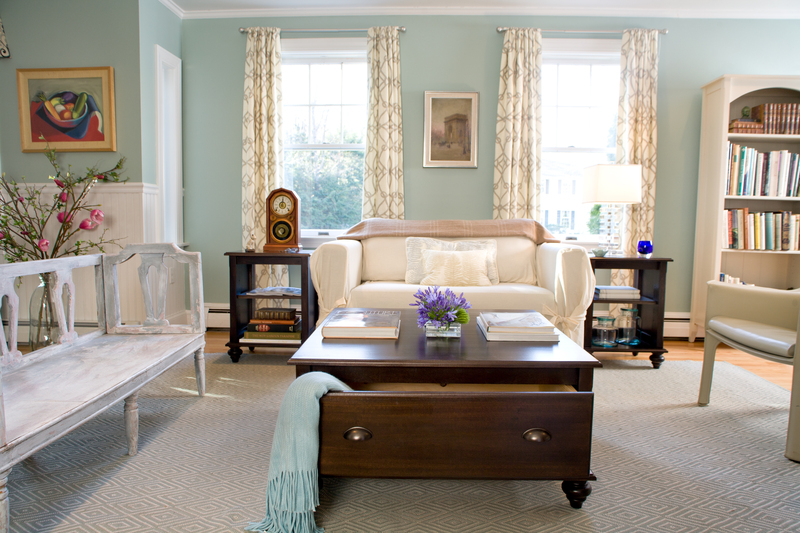 Which picture showcase Benjamin Moore’s Plaster of Paris CSP-185? 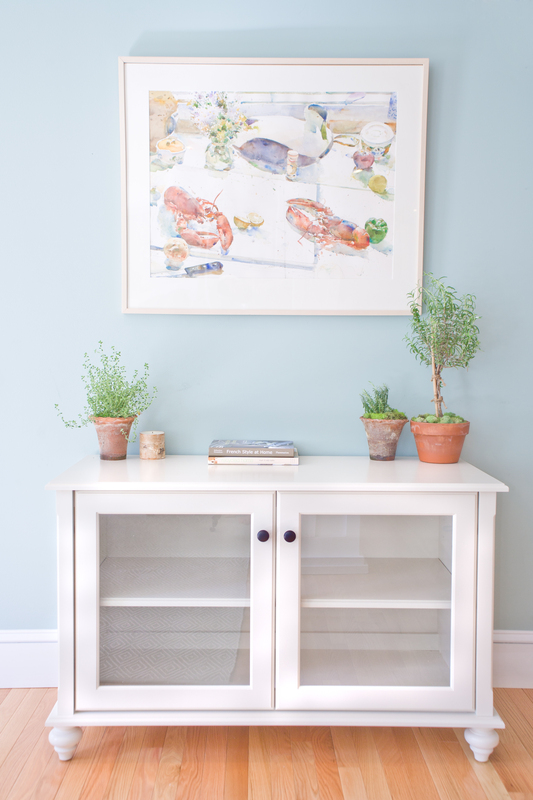 The tall bookcase and the media cabinet are both Plaster of Paris it is a wonderful gray-white!